If you are scrambling to find a last-minute appetizer for your Thanksgiving gathering, I have you covered. 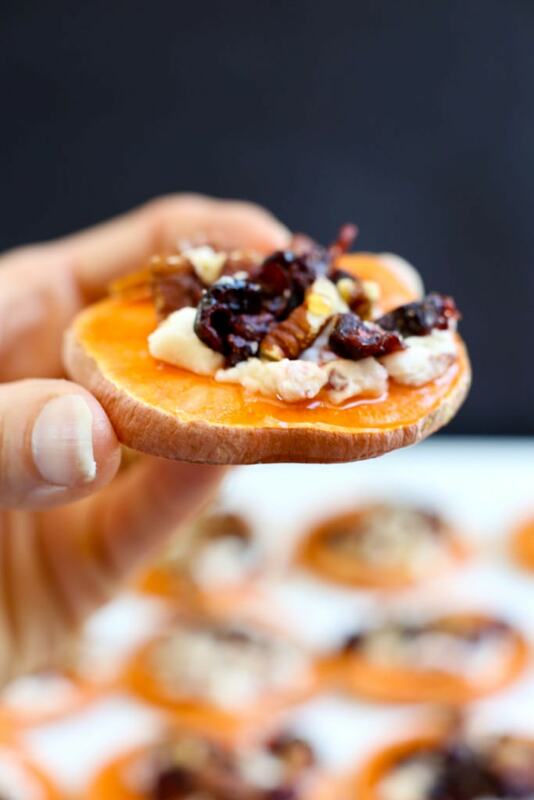 This Sweet Potato Toasts Appetizer is super quick to make, you quite possibly have all of the ingredients in your pantry, and they are delicious! 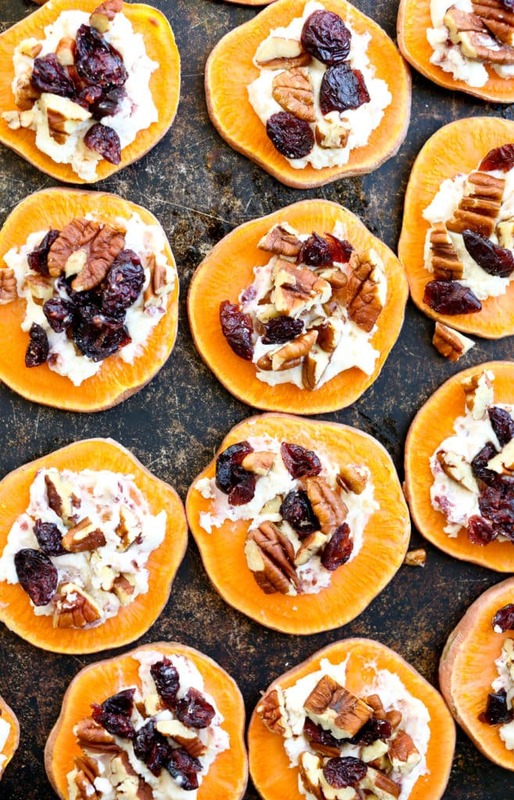 Sweet potato “toast” is a big food trend lately. 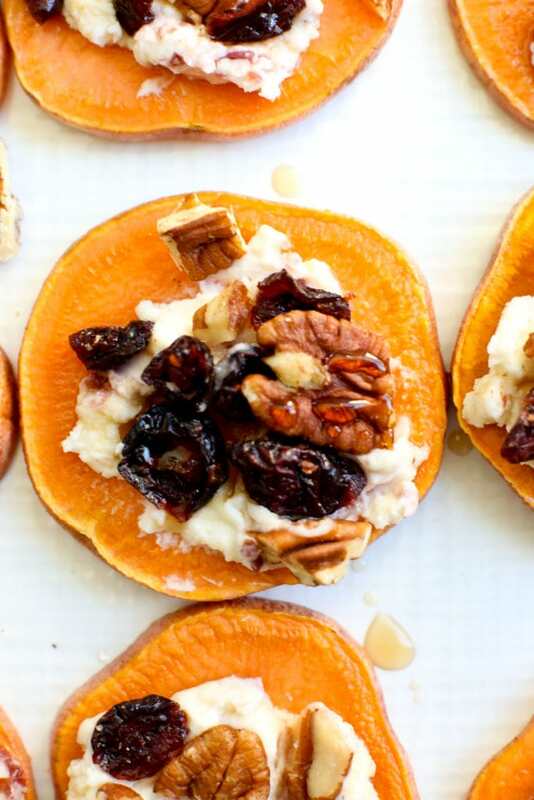 Did you know when you slice sweet potato thinly you can put it in the toaster like a piece of bread and treat it as such with whatever toppings you choose? Don’t get me wrong; it’s nothing like the toast that is a slice of bread. I just love that it can replace bread as a vehicle for fun toppings, like in this appetizer. 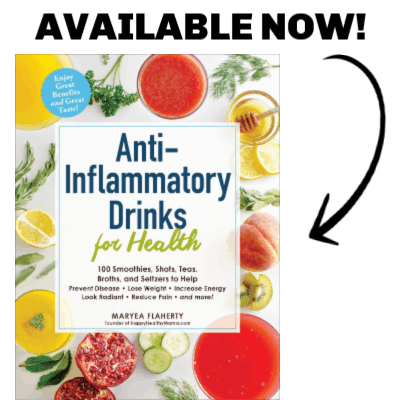 Need a gluten-free appetizer? Here you go! I thinly sliced my sweet potato the short way to make small, pick-up-able, appetizer-sized bites. Instead of toasting them in the toaster, I used my oven’s broiler. Once they get toasted, about 4-5 minutes per side, all that’s left to do is top with a little spreadable goat cheese and some chopped pecans and dried cranberries. Festive and easy! I drizzled these with a little maple syrup. It was a nice touch, but is totally optional. I also used a cranberry-infused goat cheese, which is also optional. Plain goat cheese will work just as well if you don’t have the cranberry kind. Enjoy this fun appetizer and have a great Thanksgiving holiday. I’ll be back on Friday with a great recipe for your Thanksgiving leftovers…get excited! 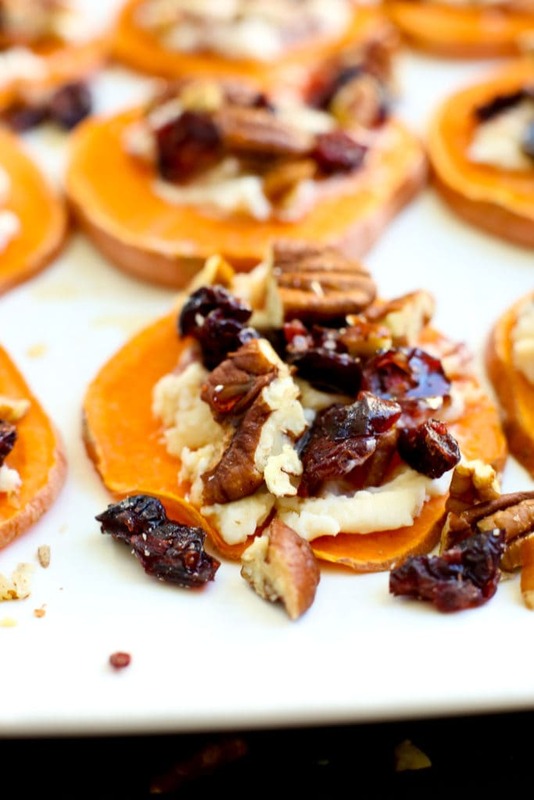 This Sweet Potato “Toasts” Appetizer is quick and easy to make and is a delicious gluten-free appetizer. Preheat your oven’s broiler. 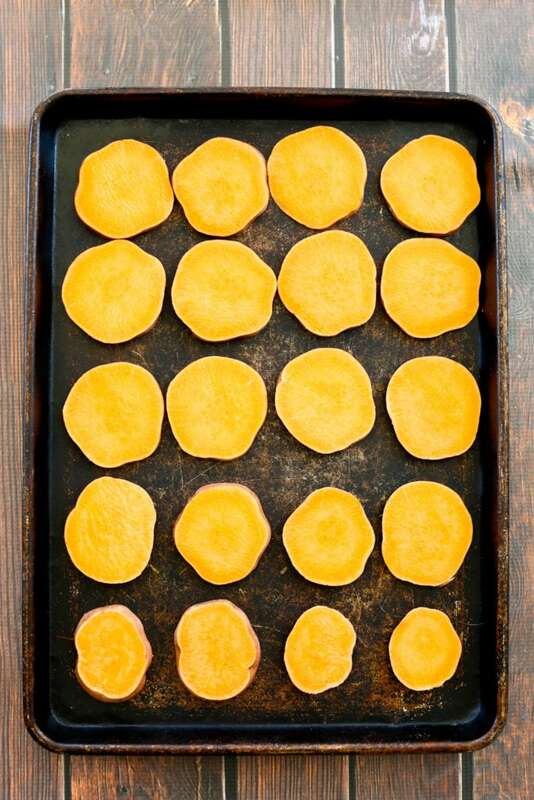 Place the sweet potato rounds on a baking sheet. Toast the rounds under the broiler, about 4-5 minutes per side. Transfer the rounds to a serving plate and spread each one with about a teaspoon of the spreadable goat cheese. Next, sprinkle the pecans and dried cranberries on top of the cheese. Optional: drizzle with a small amount of maple syrup. These look so delicious! My esthetician/nutritionist just told me how amazing sweet potatoes are for your skin, so this recipe came at the perfect time. Thanks!